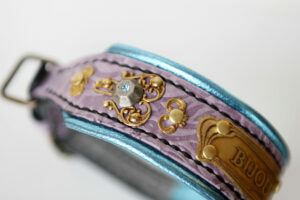 This week we are making a personalized dog collar for a 7 year old mastiff named Bubba. His caregiver is a young charming girl from USA. She rescued him 5 years ago. Bubba had a tough life before she came to his rescue. So at first he showed aggression towards other people and was overly protective. With lots of love and effort Bubba has become a big goofball that enjoys playing with children and puppies. To celebrate 5 years of their friendship Bubba’s caregiver wants something special, a unique gift. That’s why she thinks that a personalized dog collar will be a great choice for their anniversary. Having a 23 inches neck circumference Bubba needs an L/XL size leather collar. 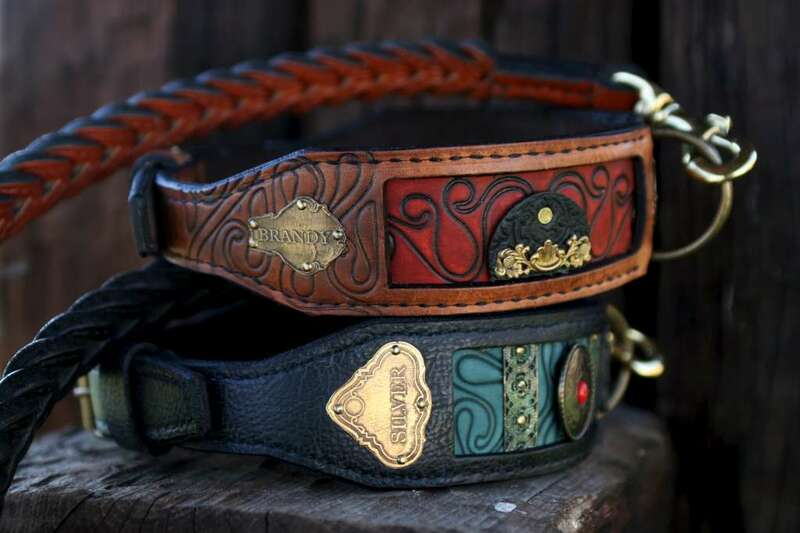 What his caregiver liked the most in our webshop was one of the most popular collars made by Workshop Sauri i.e. 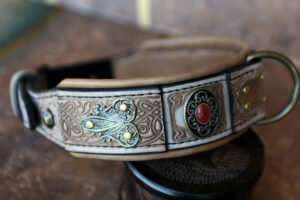 Imperial leather dog collar. Imperial is a collar made in combination of brown, beige and cognac leather with vintage looking brass nameplates and two eye-catching side ornaments. For Bubba, the Soul Guardian, we chose brass plated dragons. 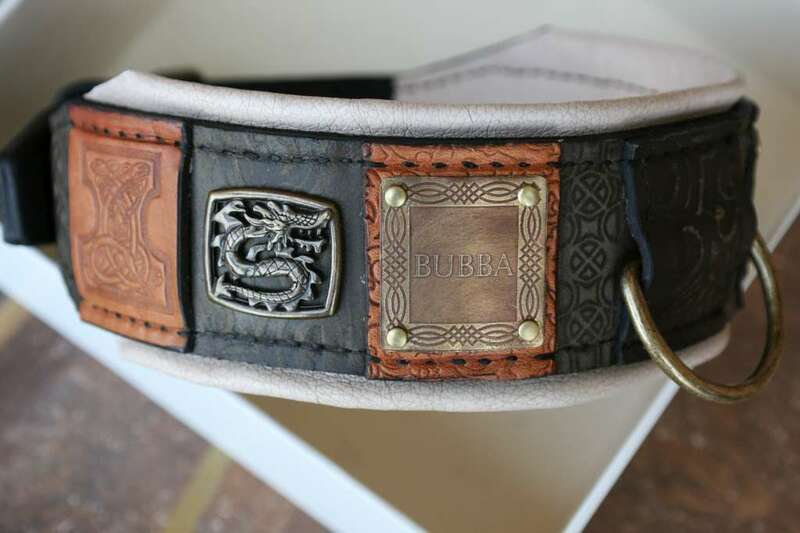 This personalized dog collar is going to replace the harness and the collar with ID tags Bubba currently wears. While the collar is there for identification purposes, harness is there to attach a leash during walks and have better control over him if he becomes overexcited. 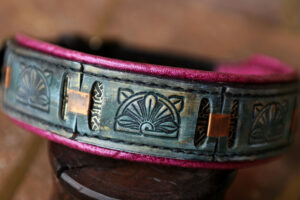 Sauri handcrafted dog collars are not just for fashion. They are reliable and durable dog walking collars. 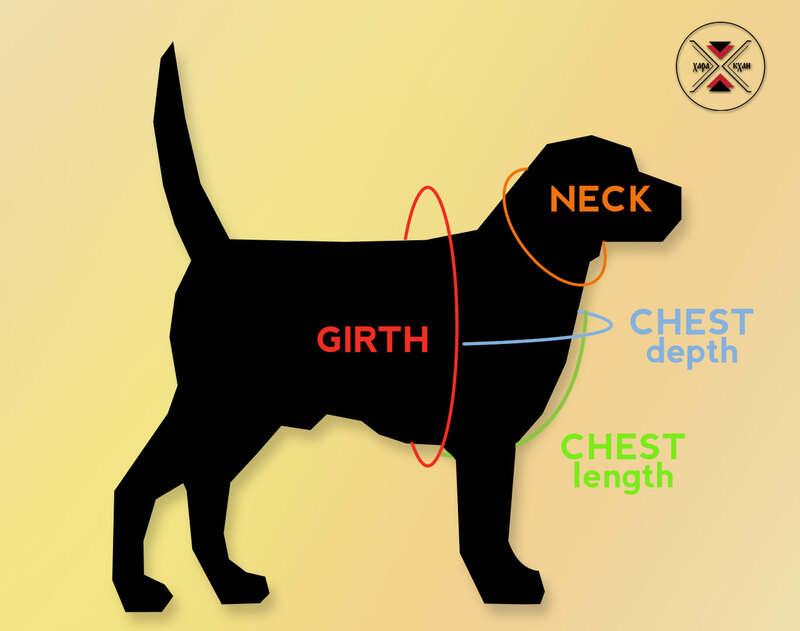 Our recommendation is to tighten the collar around your dog’s neck just right, not too tight or too loose. The collar shouldn’t be so tight to cause discomfort or so loose that it slides over the dog’s head. Collar worn too loose will lie closer to dog’s shoulders and your dog will have no trouble breaking away. When you set the collar right you will have better control over your dog during dog walks. 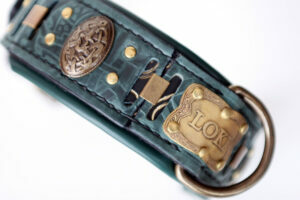 Having a personalized dog collar made is another great way to show affection to your special dog friend. Workshop Sauri design and hand craft unique personalized dog collars for all dog breeds. We can engrave your dog’s name and telephone number on brass plates. If you would like to have a Sauri personalized dog collar made for your dog fill in a custom order or contact us.